Norcar BSB Eesti AS is located concern from Finlandia Norcar-BSB OY affiliate company. Has successfully pursued since 1994. Work was started with 4 people in Kiiu and today has grown over 2000m2 production space company. 80% of production is for export. The company’s main productions are tractors body components and agricultural equipment. Our prefabricated compiled details are used to make miniloaders Norcar and feeding tractors Minkomatic. At the same time we also produce a variety of mechanical engineering components and nodes (cylinders, oil tanks, variable size hatch latch. The company’s main objective goal is the production of new technology. 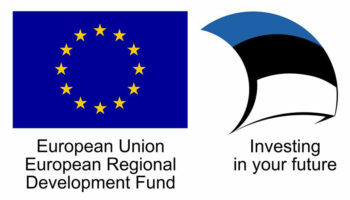 We cooperate closely with Tallinn University of Technology and with technology competence centers ELIKO https://www.eas.ee/wp-content/uploads/2015/11/ELIKO-TAKi-tutvustus-veebis.pdf and IMECC PR2-1_Norcar_EN , PR2-2-1_Norcar_EN , PR2-3_Norcar_EN . This investment has enabled the introduction of a completely new product category. We possess the mechanical processing of sheet material cutting, bending, dental surgery, welding, painting. Our core business is focused on manufacturing of steel components for agricultural equipment. Norcar universal mini loaders and Minkomatic feed trucks are best examples. Our competence also includes manufacturing of complex components and assemblies. We are proud to be an authorized sales and maintenance organization for Norcar products. We do our best to allow us gain growth at subcontracting business and to prove the potential of NORCAR mini loaders. Community: Understand trends, expectations and accommodate to these. Innovative: Strive towards to continuous change and improvements by working with our processes and cooperation with technology development centers. Our team: Encourage our team for Express creativity, competency and commitment by supporting and valuing each other. Relevancy and results are reviewed regularly by Management. These thoughts guide us towards employee complacency, customer satisfaction and company success.